Cardiac Catheterization is a procedure that is used as a diagnostic option for many cardiovascular conditions by allowing the monitor and measurement of several important determining factors such as systolic and diastolic pressure and blood flow. Also, cardiac catheterization is often times used while performing angioplasty, angiography and as a way of advancing and introducing electrodes onto the cardiac muscle for analysis and examination. 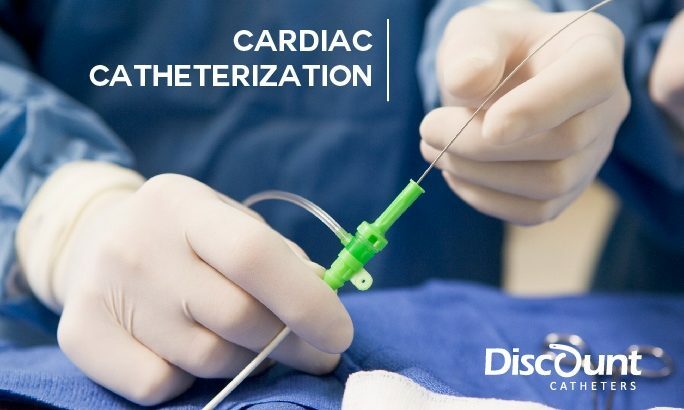 In so many words, cardiac catheterization is useful during diagnostics and treatment and allows the medical professional to surgically manage some types of cardiac conditions. Cardiac catheterization has an interesting history; Claude Bernard was a French Physiologist who famously introduced a catheter made of glassware into a horse’s heart in 1844 and is actually credited with being the first to use the term cardiac catheterization. Many years later in 1929, a German doctor by the name of Werner Frossman self-catheterized and thusly became the first human to have a cardiac catheterization procedure. Because there weren’t catheters specifically made for the heart, Frossman used a 0.125 inch diameter urethral catheter and inserted it into a vain in one of his arms and reached his heart; Frossman was able to photograph this amazing feat with an x-ray machine. Then in 1956, clinical application and standardization of this procedure was made possible thanks to the works of physiologists Dickinson Richards and Andre Cournand. That same year, Frossman, Richards and Cournand received a Nobel Prize for their contributions in the surgical field of Medicine. Iodinated contrast agents, which is basically a dye, is injected into vasculature via catheterization and increases the visibility of these structures, facilitating visualization of radiographic images of otherwise concealed anatomy. Iodinated contrast mediums pinpoint the locations of anatomical deformities (aneurysms) and thus serve to identify the cardiac part that needs replacement or transplanted. Another profound application of injected iodinated dye is to determine the severity of atherosclerotic processes or the degree of vascular stenosis. This information is crucial in determining the best surgical procedure for treatment such as between coronary bypass surgery versus balloon angioplasty. Recently, impressive advancements of previous improvements have been on the rise. Now, a tiny ultrasound is placed on the tip of a cardiac catheter to send images of the inner walls of coronary arteries.